GIVE THANKS - ElderSong Publications, Inc.
Ripened grain crops, flavorful berry patches, luscious fruit orchards, hardy vegetable gardens, mature grape vineyards – the fall harvest season is well underway. The bounties of the harvest bring a cornucopia of blessings, culminating with a national day of Thanksgiving in late November. Celebrate autumn and inspire grateful hearts with a few of the activities suggested below. THANKFULNESS: Talk about the meaning of the word thanksgiving and name some related words (thankfulness, gratitude, blessings, appreciation). Ask: Do you have a thankful heart? How can you become a more thankful person? What is the opposite of thankfulness? Name some sayings that begin with thank/thanks (ex: thank goodness, thank heavens, thank your lucky stars, thanks a million). AUTUMN THANKFULNESS: Ask participants to name some things they are appreciative of during the autumn season – Thanksgiving family meal, right to vote at the polls, a day to honor veterans, sound of school bells, football cheers, taste of pumpkin pie. Make an autumnal “Give Thanks” collage, emphasizing the five senses. Paint ten wooden blocks in harvest colors and print a letter of GIVE THANKS on each block. Use as room décor. AUTUMN VIEWS: Display nature photos of fall that feature the brilliant colors of the season: Ask: What makes autumn a feast for the eyes? Does the beauty of nature inspire thankfulness in you? Do you enjoy nature walks in the fall? Why is autumn often called the season of thanks? Read the famous poem “Ode to Autumn” by John Keats and share some favorite images. THANKSGIVING DINNER: Show photos of a 1950s multi-generational family gathered around the Thanksgiving dinner table. 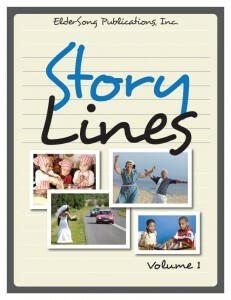 Describe how your family observed the Thanksgiving holiday. Talk about the roles that each family member played in making the day special (ex: who carved the turkey, aunts brought a special side dish, uncles told “turkey” jokes). Ask: As you grew up, who or what were you most grateful for on Thanksgiving Day? THANKSGIVING HISTORY: Learn about the history of Thanksgiving Day and how it became a national holiday. Read excerpts from U.S. presidential Thanksgiving proclamations and talk about the gift of liberty. COUNTING BLESSINGS: Listen to Bing Crosby’s rendition of the Irving Berlin song “Count Your Blessings Instead of Sheep.” Ask: Do you think that counting your blessings can be a cure for insomnia? What are some other health benefits to having a grateful attitude? Talk about the meaning of the following: count your blessings, a blessing in disguise, be a mixed blessing, bless you, you have my blessing, you are such a blessing. GRATITUDE: Read Edgar A. Guest’s “Gratitude” poem. Ask: How can you “acquire the grateful habit”? How can parents develop the virtue of gratitude in their children? How do you show gratitude at home? How difficult is it to be grateful in hard times? FRUIT PIES: Treat your group to a Pie Fest, featuring the fruits/nuts of the season – apple, pumpkin, pear, mincemeat, sweet potato, pecan, cranberry, peach. Invite staff and volunteers to join the gathering. 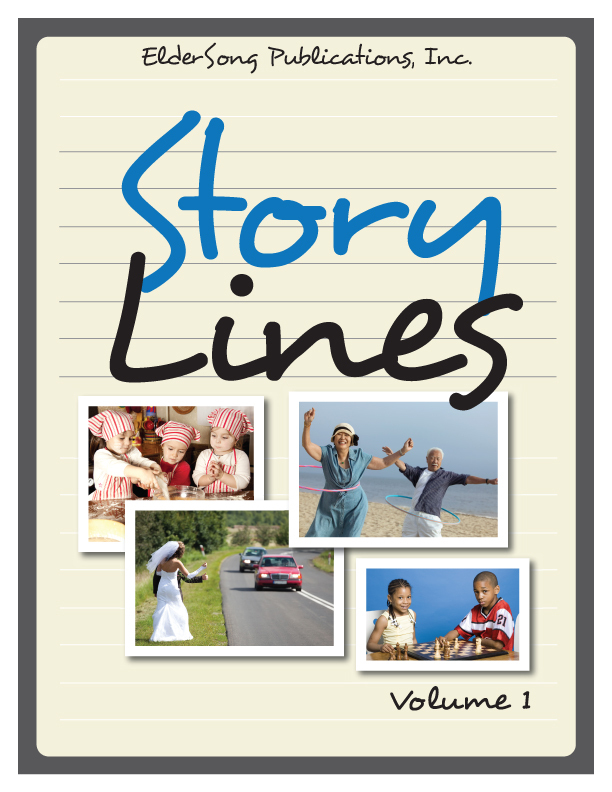 Share memories of family trips to fruit orchards and farmers’ markets or garden centers. Serve mulled cider and coffee. ETIQUETTE: Locate a copy of The Amy Vanderbilt Complete Book of Etiquette, published in 1952. (An updated version is also available.) Read the section on thank-you notes and talk about changes in the way we say ‘thanks.’ Consider e-mail, texting, voice mail, etc., and ask if participants still prefer a handwritten note. Suggest a modern-day “thank-you” gift for a hostess from a weekend guest. Make appreciation/thank-you notes to send to staff members, volunteers, or family during the upcoming holiday season. MUSIC: Listen to the song “Thanks for the Memory,” sung by Bob Hope. Watch excerpts from his USO variety shows (especially the holiday specials) for the troops. Name some ways to show appreciation for veterans. SPIRITUAL: Read some Psalms and other passages in the Bible that give thanks to God, including these: Psalms 9, 30, 40, 66, 67, 100, 113, 135, 136; Phil 4:6; Col 2:7. Ask participants to make a list of the things God has done for them. 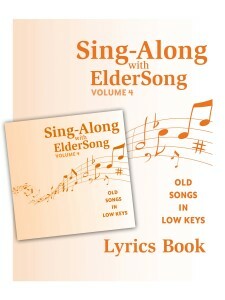 Or, reminisce about singing or praying before a meal as a kid. Recite a prayer of thanksgiving for children. POETRY: Read the simple poem “All in a Word: Thanks” by children’s poet Aileen Fisher. Write an original acrostic poem using the letters of the word thanksgiving. 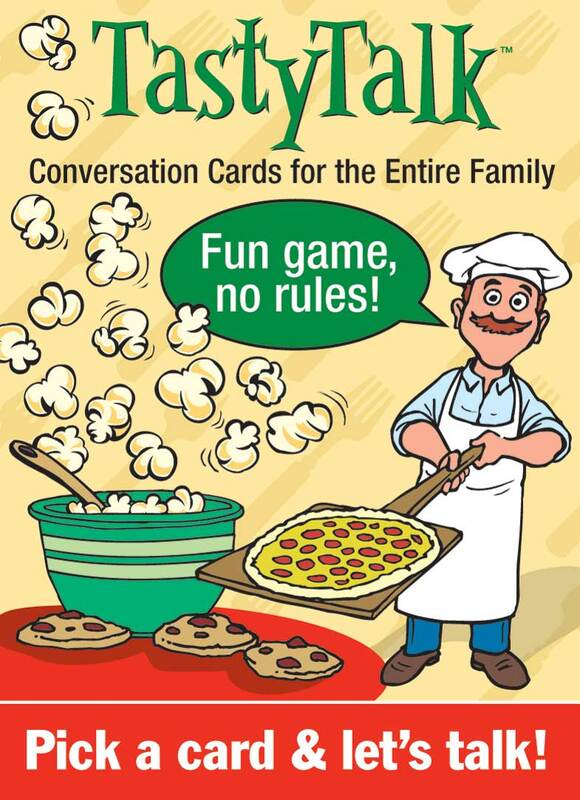 Need more activities related to the theme of “Give Thanks”? Check out the resources highlighted below. If you were stationed overseas, what goodies would you like to receive in a “care package”? What “secret recipe” would you most like to uncover? What would you do with it? 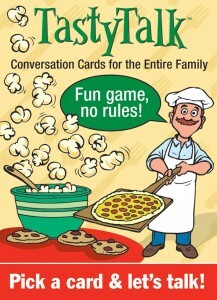 If you could receive a free lifetime supply of any food item, what would you choose? What seasonal food do you eagerly wait for all year? Looking at nature inspires many people to be grateful. Relish the beauty and variety of seasonal changes indoors. 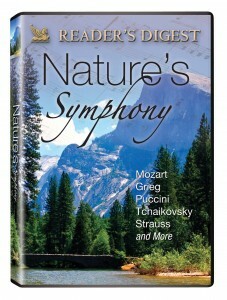 Take a look at nature’s stunning works on the Reader’s Digest DVD Nature’s Symphony. Gaze at waterfalls, geysers, lush spring meadows with flowers, wintery alpine lakes, canyons, and desert sunsets. Along the way you can catch a glimpse of moose, elk, chipmunks, and birds. The scenes are enhanced by the music of composers such as Strauss, Tchaikovsky, Mozart, Debussy, and Haydn. 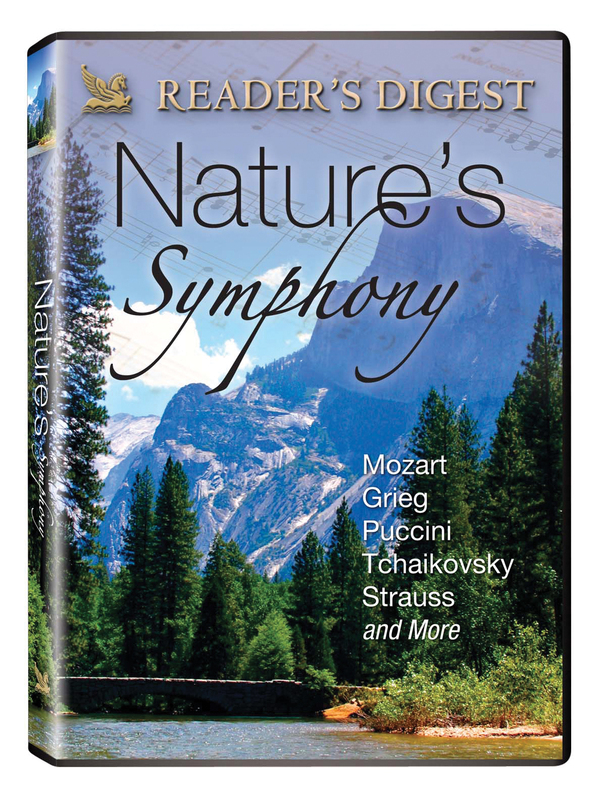 The DVD is full of captivating sights of the natural world – to the accompaniment of classical music. Celebrate the autumnal season with some nostalgic music that will rekindle a thankful attitude. 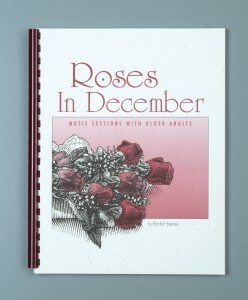 Roses in December: Music Sessions for Older Adults offers over 75 creative music sessions on various themes such as Angels, Autumn, Bells, Birthdays, Camping, A Classical Oktoberfest, Dreaming, Flowers, Gardens, Halloween, Humor in Music, Presidents’ Day, Rainbows, Sunshine, Wellness, and Ya Gotta Have Heart. The resource features music activities, reminiscing activities, discussion questions, song suggestions, and sensory stimulation activities. Use the following sessions for some activities on the theme of giving thanks: Thanksgiving; Autumn; Halloween; Home, Sweet, Home; A Classical Oktoberfest. Describe what is happening in this photo. Has this occurred before? How does the girl feel about sharing her meal? What is the girl giving to the dog? Is this breakfast, lunch, or supper? Who made the girl’s meal? What kind of relationship do the dog and the girl have? What other activities do they do together? Is the dog a good companion for the girl? "Give Thanks" written by Sue Hansen. 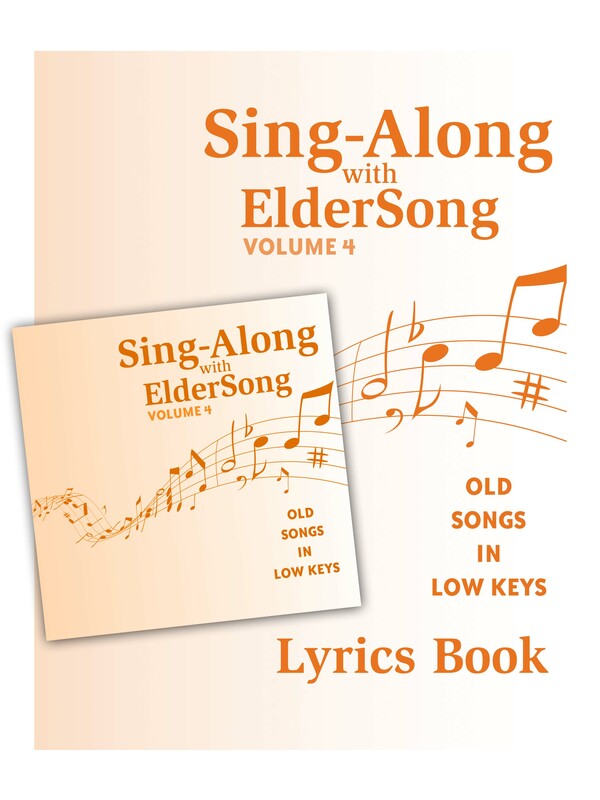 Copyright 2014 ElderSong Publications, Inc. All rights reserved.